I was born in Fort Wayne, Indiana but consider my childhood home the green, rolling foothills of East Tennessee and the southern Appalachia mountains, settlement to all sorts of interesting people, composites of which can be found throughout my writing. Most of my adulthood I've spent in the Sandhills and Piedmont of central North Carolina, where I live now with my wife and family. I received my B.A. in English from the University of Tennessee in Knoxville, after which I was commissioned and served four years as an officer and paratrooper in the U.S. Army. In 2008 I was awarded a Durham Arts Council Emerging Artist Grant for Literature. In addition to fiction, I write a blog called Without Envy: Raising a child with Type 1 Diabetes, which d I was born in Fort Wayne, Indiana but consider my childhood home the green, rolling foothills of East Tennessee and the southern Appalachia mountains, settlement to all sorts of interesting people, composites of which can be found throughout my writing. Most of my adulthood I've spent in the Sandhills and Piedmont of central North Carolina, where I live now with my wife and family. I received my B.A. in English from the University of Tennessee in Knoxville, after which I was commissioned and served four years as an officer and paratrooper in the U.S. Army. In 2008 I was awarded a Durham Arts Council Emerging Artist Grant for Literature. In addition to fiction, I write a blog called Without Envy: Raising a child with Type 1 Diabetes, which details our family's triumphs, struggles and achievements in managing this incurable disease. 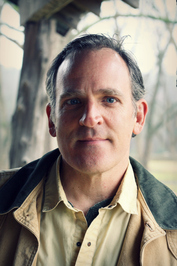 To ask Steven Lee Gilbert questions, please sign up. 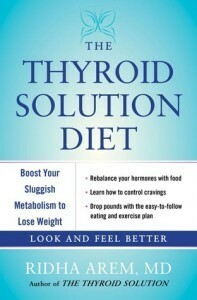 First off: This book is not just about the thyroid or those who suffer from thyroid related issues. Second: Anyone interested in extending their life should read it. We’d love your help. Let us know what’s wrong with this preview of The Death and Life of Great American Cities by Jane Jacobs. We’d love your help. Let us know what’s wrong with this preview of Bowling Alone by Robert D. Putnam. Steven Gilbert voted for Real Food/Fake Food: Why You Don’t Know What You’re Eating and What You Can Do about It as Best Food & Cookbooks in the Opening Round of the 2016 Goodreads Choice Awards. We’d love your help. Let us know what’s wrong with this preview of Our Souls at Night by Kent Haruf. We’d love your help. Let us know what’s wrong with this preview of Descent by Tim Johnston. “I like what I do. Some writers have said in print that they hated writing and it was just a chore and a burden. I certainly don't feel that way about it. Sometimes it's difficult. You know, you always have this image of the perfect thing which you can never achieve, but which you never stop trying to achieve. But I think ... that's your signpost and your guide. You'll never get there, but without it you won't get anywhere. Thank's for accepting my request of friendship. Steve, thanks for friending me on Goodreads. I appreciate it. If you have any ladies in your life, I have an Amish fiction series, THE LOVES OF SNYDER COUNTY, for any age and THE KEYSTONE STABLES SERIES, girl/horse fiction for gals 10-14. Thanks again! Thanks for the invite, Steven. Good luck with your work. Here are some affordable marketing tools for authors to increase their books' visibility on the Internet. Each service costs only $39.95. Press Releases HQ - Send a custom release to 3,000+ media outlets. Include links back to you book, improving your book's SEO! Cheap eBooks - $0.99 or Less - 1) Add your book to this highly ranked website, and 2) a press release is sent out announcing your book's addition ... includes links back to you book. Book Club Reading List - 1) Add your book to this highly ranked website, 2) your book is added to the quarterly newsletter sent to book clubs, and 3) a press release is sent out announcing your book's addition ... includes links back to you book.